As one of the brand’s largest work backpacks, the Briggs & Riley Large Cargo Backpack is made for busy work commuters and business travelers who need to carry their business essentials while still looking clean and professional. The Large Cargo backpack functions as a portable office thanks to its dedicated file sleeves, laptop compartment and smart organizers for smaller items. The Briggs & Riley @work Cargo backpacks come in two sizes, the 33 liter Large Cargo backpack and the smaller 27.3 liter Medium Cargo backpack. 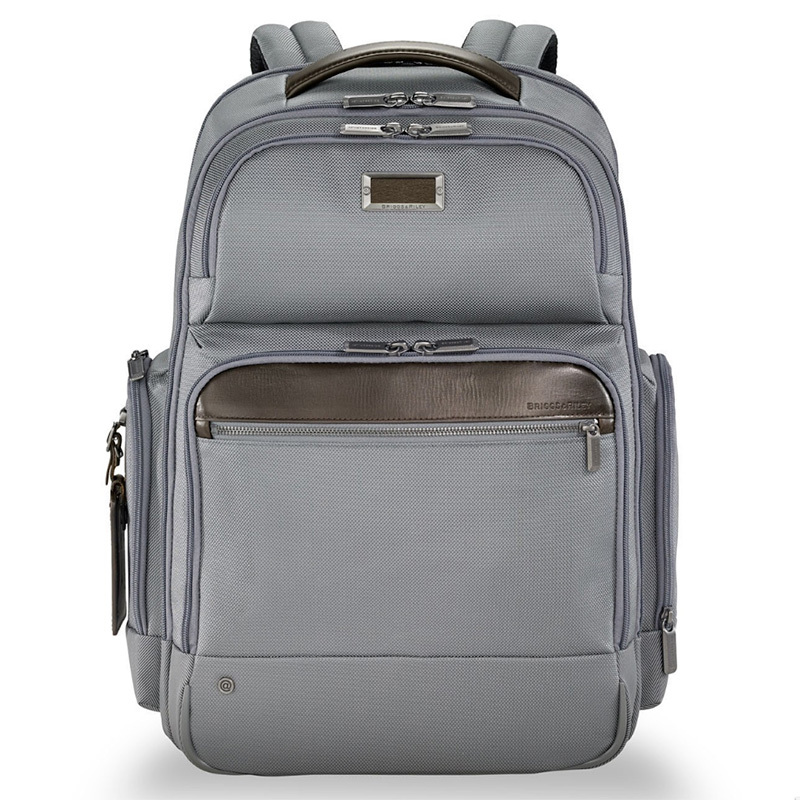 Backpack has enough room to pack for an overnight stay plus business essentials. No key lanyard to attach keys. Small complaint but worth noting.